Ivoryton – The Ivoryton Playhouse is leaving the Rocky Mountains of Colorado and heading to the Gulf Coast beaches of St. Petersburg, Florida. Six Dance Lessons in Six Weeks is a touching and human comedy about a formidable retired woman, Lily Harrison, who hires an unusually difficult dance instructor with an acerbic personality, Michael Minetti, to give her private dance lessons —one per week for six weeks— in her gulf-front condo. What begins as an antagonistic relationship blossoms into an intimate friendship as these two people from very different backgrounds reveal their secrets, fears, and joys while dancing the Swing, Tango, Waltz, Foxtrot, Cha-Cha, and Contemporary Dance. Michael and Lily learn to overcome their outward differences and discover an unlikely but profound connection. By the final lesson, Lily shares with Michael her most closely guarded secret and he shares with her his greatest gifts, his loyalty and compassion. 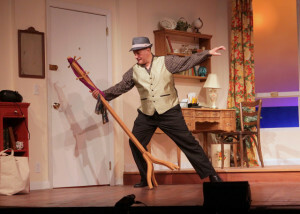 A poignant comedy with music and dance, the play also addresses the serious issues of ageism and intolerance. Written by Yale grad, Richard Alfieri, Six Dance Lessons in Six Weeks premiered in Los Angeles and opened on Broadway at the Belasco Theater in 2003. The play has since been translated into 14 languages and has traversed the globe with productions in 24 countries. 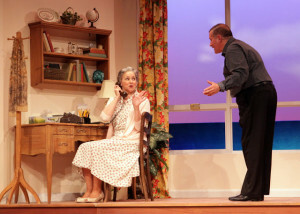 The play has established itself as an international hit and one of the most produced plays in the world. A film was also made of the play starring Gena Rowlands and Cheyenne Jackson. 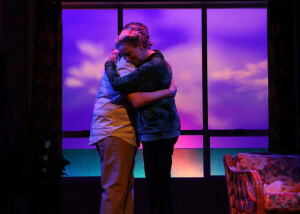 Featuring seasoned actors Michael Ianucci* and Valerie Stack Dodge*, the play is directed by Sasha Bratt, choreographed by Apollo Smile, set design by William Stark, lighting design by Marcus Abbott and costume design by Lisa Bebey. 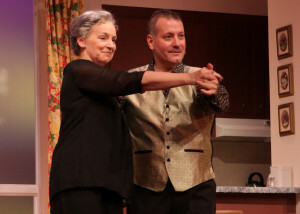 Six Dance Lessons in Six Weeks opens at the Ivoryton Playhouse on May 4th and runs through May 22nd 2016. Performance times are Wednesday and Sunday matinees at 2pm. Evening performances are Wednesday and Thursday at 7:30pm, Friday and Saturday at 8pm. Members of the press are welcome at any performance. Please call ahead for tickets.